Tell us if this sounds familiar: you start seeing someone and you’re together 24/7. You text constantly, you stay up late talking on the phone and even your Facebook wall becomes a scrolling reminder of all of your inside jokes. There is no need to race. There is no harm in feeling like your relationship may be progressing too fast for you or wanting to wait for your feelings to develop a little more. Everyone is different. This is a relationship, not a race, so if you feel like more of a tortoise and your partner is a hare racing to the finish line, it may be time to put on some brakes. Don’t be afraid to talk about it. If you feel like you can’t go to your partner to discuss what makes you uncomfortable, it may be a sign that you need to put on the brakes. Open, honest communication, even about less than pleasant things, are part of a healthy relationship, so this conversation might be a good place to start. If something you were doing was making your partner unhappy, wouldn’t you want to know? Keep yourself and your partner honest. When it comes to the physical aspect of your relationship, make honesty your top priority. You should be able to share what you feel comfortable with, and not be afraid that you’re going to get judged. These conversations may be a little tough at first, but opening these communication lines can make your relationship stronger. Even being honest about your feelings for this person, like not feeling ready to use the “L” word or not feeling as strongly as your partner feels about you, are important for your relationship. Trust yourself. Only you know what’s right for you and if it doesn’t feel right, it’s not right. 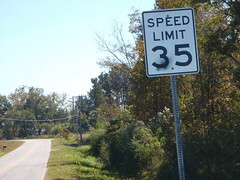 If your relationship is going 60 mph, you may be overlooking some warning signs. Call , chat or text us if you need to talk. What do you think? What’s the right pace for you?